Sunday Night Live is a fellowship event focused on spiritual development. The event is held quarterly and includes an Agape style dinner (soup and bread), music, devotion, and spiritual formation. Our spiritual formations include small group discussions, spiritual practices, and social justice discussions. 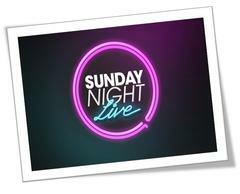 We look forward to seeing you at the next Sunday Night Live. Next Date: January 21rst @ 5:00 - "Walking the Labyrinth"